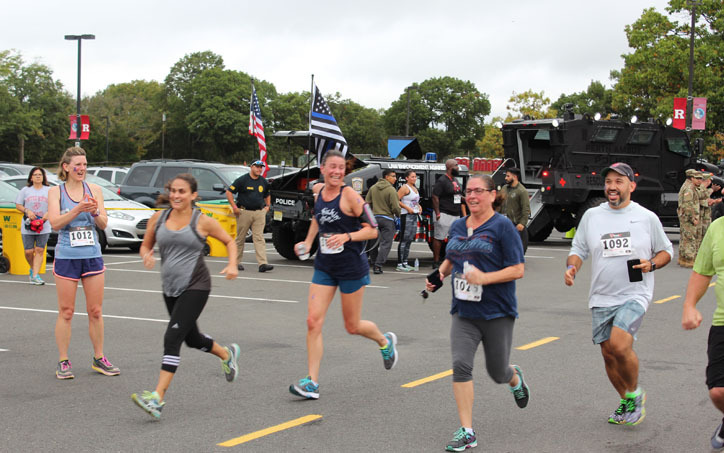 On Sunday, October 15, 2017, the Vets4Warriors staff of service members, veterans, family members and caregivers will host their 1st 5K Run and Walk. This event is organized by the Vets4Warriors family, to benefit the men, women and families who have served in the Armed Forces of the United States. We are asking for your help in aiding our military and veteran communities in their time of need. Vets4Warriors is a national 501c3 nonprofit housed at Rutgers University, with a mission to provide a 24/7 peer support network that any veteran, service member, caregiver or family member can contact for confidential conversations and trusted solutions to physical, mental, or financial challenges, before those challenges turn into crisis. Vets4Warriors isn’t a crisis or suicide hotline. We are a peer support network staffed by veterans of branches of the military. Our philosophy is that there are no challenges we can’t help our veterans, military members, their families or their caregivers find the solution for. We provide a multi-touch and multi-channel service. Clients engage for more than one contact, and there is more than one way to reach us. When you need an unbiased resource, we are only a call, chat or text away. Vets4Warriors began as a resource for the military by the military community; but located outside of the chain-of-command. Today, our nonprofit peer support network supports anyone from the military and veteran community and has the experience to confidentially help you answer and solve your problems with appropriate resources. We provide sustained support to service members, veterans, family members and caregivers through confidential phone, text and online conversation. We are not a single-use resource. Many of the people we help continue to engage with us in an ongoing dialogue that spans months as they work through the challenges that led them to contact us in the first place. Your support helps us reach every veteran and the military community to ensure the full range of available resources is accessible to and understood by those who need them.